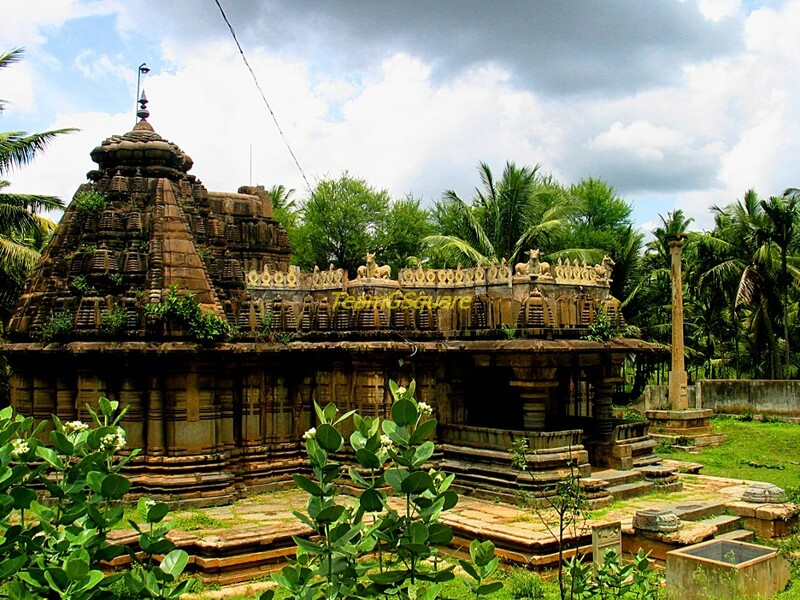 Continued from here in which we have already listed 50 of the must visit lesser known temples of Karnataka. 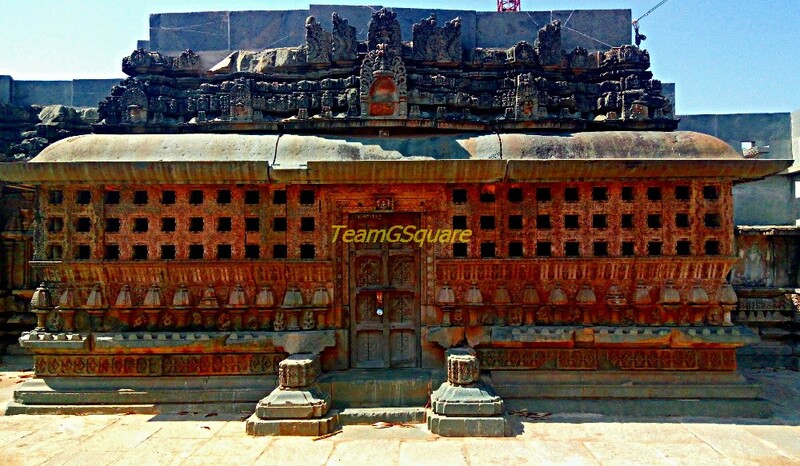 About: This beautiful temple belongs to the Pattadakal School of Architecture, built on a hillock near by. Only the garbhagriha of the original temple remains, which houses Lord Shiva in the form of a linga. 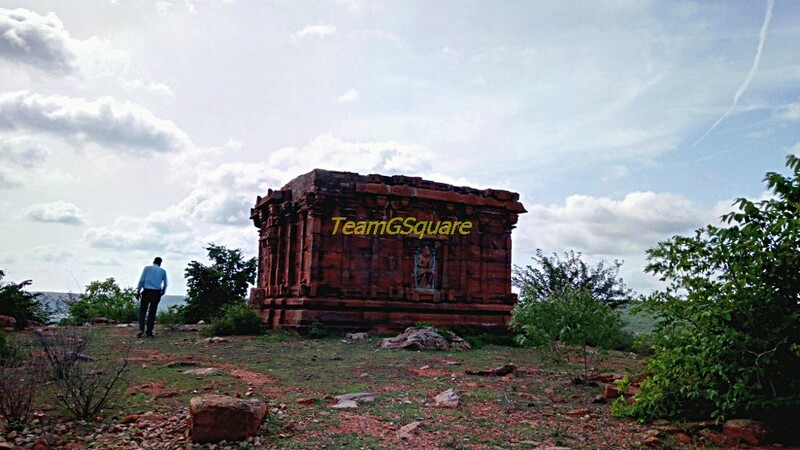 This temple is west facing and faces the group of temples at Pattadakal. About: This temple complex is one of the largest complex here with 25 temples of various sizes, shapes and designs. This looks like a laboratory of temple architecture, where one can witness the presence of small cave temples to advanced stages of temple architecture. 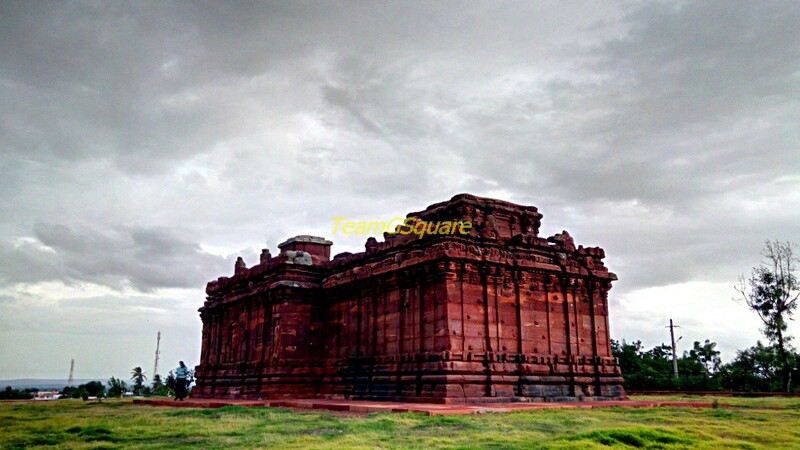 This temple complex is located outside the village of Aihole, just off the road towards Pattadakal. About: This temple though in ruins, looks very grand. The life-size Dwarapalakas, nicely carved windows and perfectly designed pillars are the only remains. Read more. About: There are five temples in this complex, all of which are dedicated to Lord Shiva in the form of a linga. 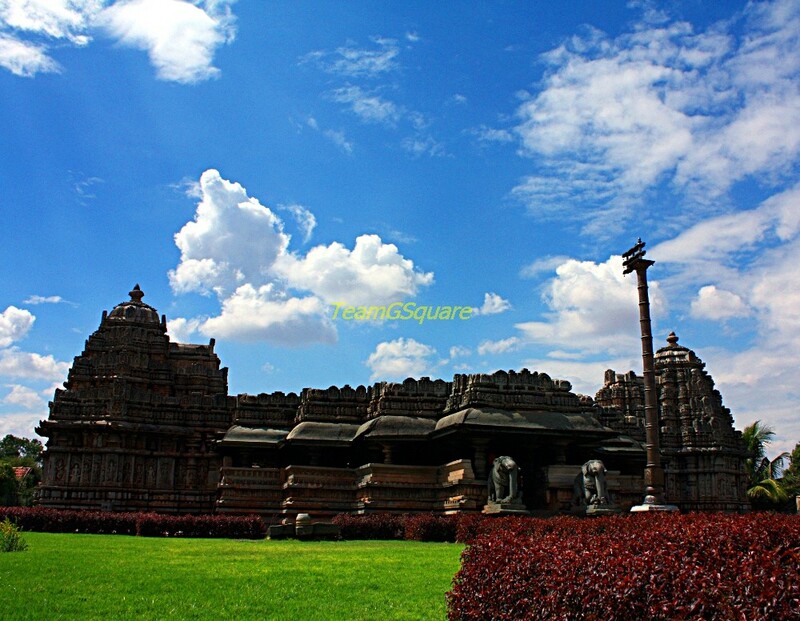 The 2 big temples are called as Nagareshwara and Nageshwara temples, both of which were built by the Gangas, while the other 3 smaller temples called as Kalleshwara, Karneshwara and Choleshwara were built during the Cholas times. Tirthankara, replacing the original image of Shanthinatha. He is seated in the dhyana posture and is carved in black stone. Read more. About: Sri Kalleshwara temple is an east facing, ekakuta temple dedicated to Lord Shiva in the form of a linga. This temple consists of a garbhagriha, an antarala and a sabhamandapa. The shikara of this temple is of vesara style with four talas. 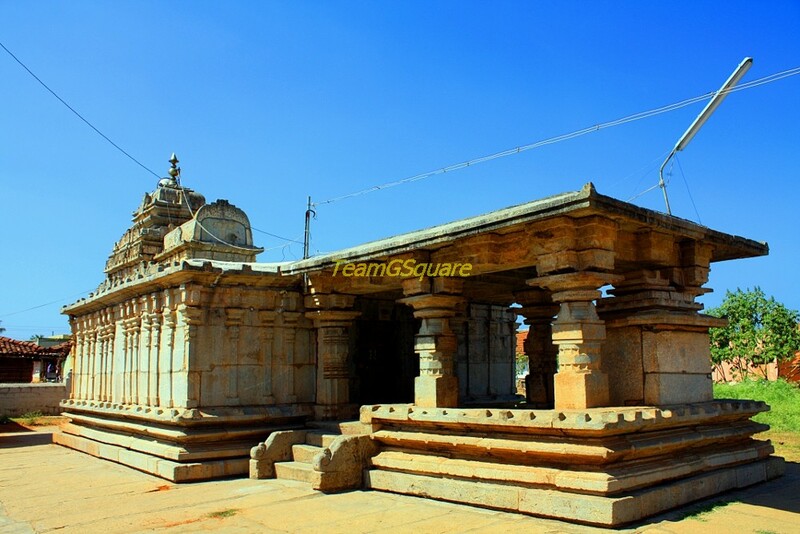 About: Sri Kalleshwara temple here is a north facing, trikuta temple dedicated to Lord Shiva in the form of a linga in the main garbhagriha and Lords Janaradhana and Surya in the other two garbhagrihas. About: Sri Kalleshwara temple is an east facing, ekakuta temple dedicated to Lord Shiva in the form of a linga. The temple consists of a garbhagriha, an antarala, and a sabhamandapa with two mukhamandapas, of which one has been closed by the ASI after restoration. About: Sri Suryanarayana temple is a south facing trikuta temple dedicated to Lord Prasanna Keshava in the main garbhagriha, and Lords Surya and Shiva in the form of a linga. The temple consists of 3 garbhagrihas with 3 antaralas, a sabhamandapa and a mukhamandapa. About: Sri Narasimha Swamy temple is a north facing dwikuta temple dedicated to Lord Narasimha in the main garbhagriha and Lord Surya in other garbhagriha. The temple consists of 2 garbhagrihas with 2 antaralas, a navaranga and a mukhamandapa.The shikara of this temple is built of brick and lime in typical Maratha style. 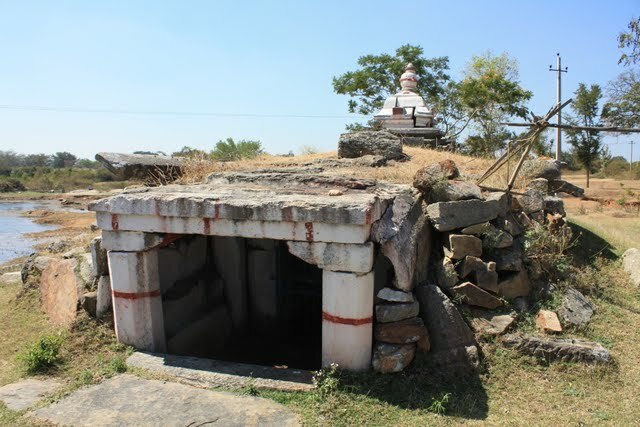 About: Shiva Mandir is an east facing trikuta temple, of which only the main garbhagriha with pillared mandapa with a mukhamandapa stands today. The temple is dedicated to Lord Shiva in the form of a linga. About: Sri Dattatreya is an east facing ekakuta temple dedicated to Lord Dattatreya (form of Vishnu). The temple consists of a garbhagriha, an antarala, a sabhamandapa with 3 mukhamandapas. Read more..
About: This is a cave temple dedicated to Lord Shiva in the form of a linga. The temple consists of a garbhagriha and a navaranga. The artistic work of carvings on the interior door frames is quite exquisite. Read more. About: This ruined temple is a beautiful temple dedicated to Lord Rama. Sadly, today this temple has become a cattle shed for the local villagers. 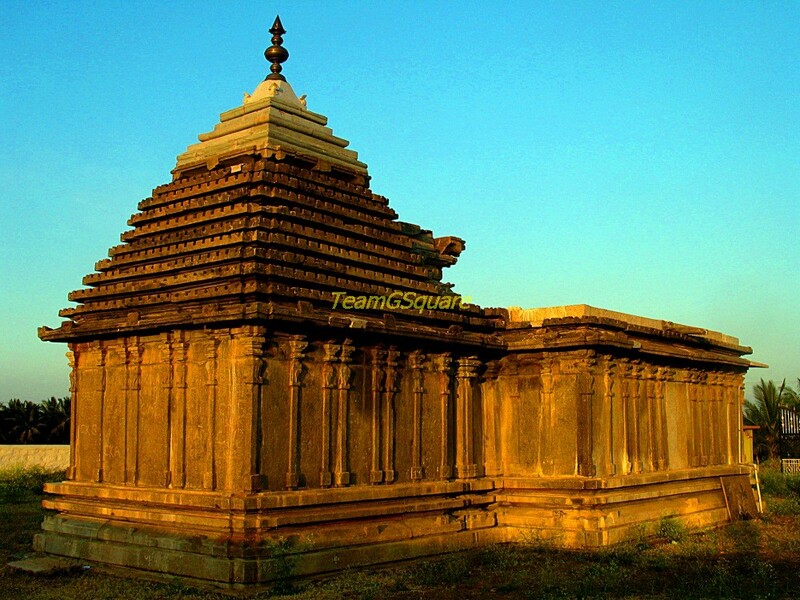 The temple consists of a garbhagriha, an antarala, sabhamandapa and pillared navaranga with a mukhamandapa. Read more..
About: Sri Viranarayana temple is an east facing trikuta temple dedicated to Lord Viranarayana in the main garbhagriha, Lords Venugopala and Yoganarasimha in the other two garbhagrihas. Read more. About: Sri Amrutheshwara temple is an east facing ekakuta temple dedicated to Lord Shiva in the form of a linga. 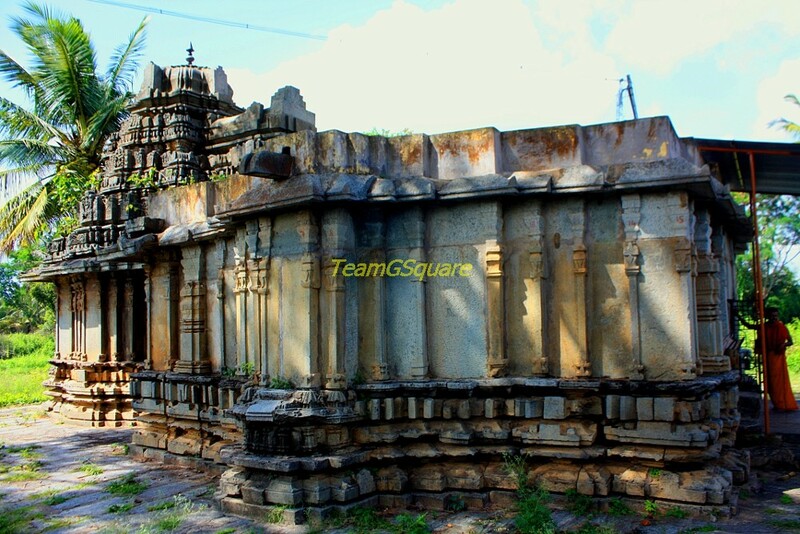 This temple consists of a garbhagriha, an antarala, a sabhamandapa and mahasabhamandapa with 3 mukhamandapas. Read more. About: Sri Ramalingeshwara cave temple is dedicated to Lord Shiva in the form of a linga, which is believed to have be installed by Lord Rama himself. This temple consists of a garbhagriha and a pillared front porch inside the cave. Read more. 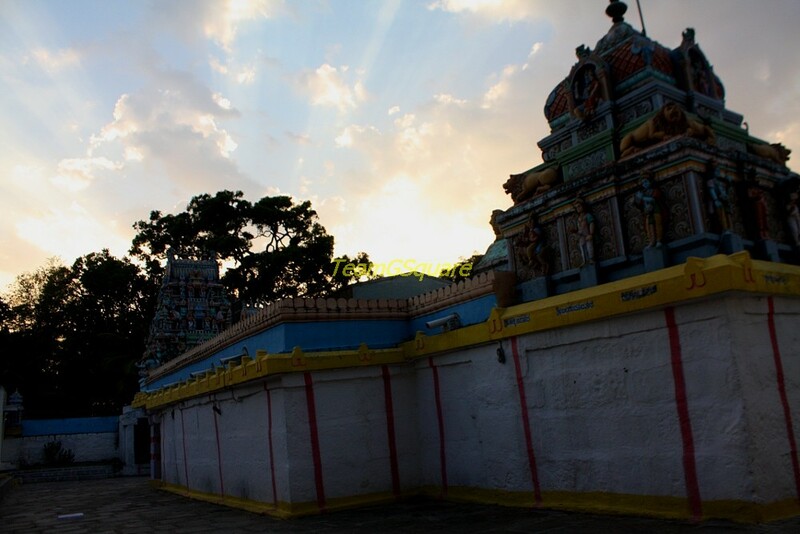 About: Sri Kodi-Kalleshwara temple is an east facing ekakuta temple dedicated to Lord Shiva in the form of a linga. The temple consists of a garbhagriha, an antarala, and navaranga with mukhamandapa. About: Sri Kalleshwara temple is an east facing trikuta dedicated to Lord Shiva in the form of a linga in the main garbhagriha and Lords Vishnu and Surya in the other two garbhagrihas. The temple consists of 3 garbhagrihas with antaralas, open pillared sabhamandapa with a mukhamandapa and a Nandimandapa in the front. About: Sri Bhimeshwara temple is an east facing chatuskuta dedicated to Lord Shiva in the form of a linga in the main western garbhagriha and Lords Brahma, Keshava and Surya in the other 3 garbhagrihas. The temple consists of 4 garbhagrihas with 3 antaralas on the west, north and south sides, a sabhamandapa and a mukhamandapa. About: Sri Nagareshwara temple is an east facing ekakuta dedicated to Lord Shiva in the form of a linga. The temple consists of a garbhagriha, an antarala and a navaranga with mukhamandapa. 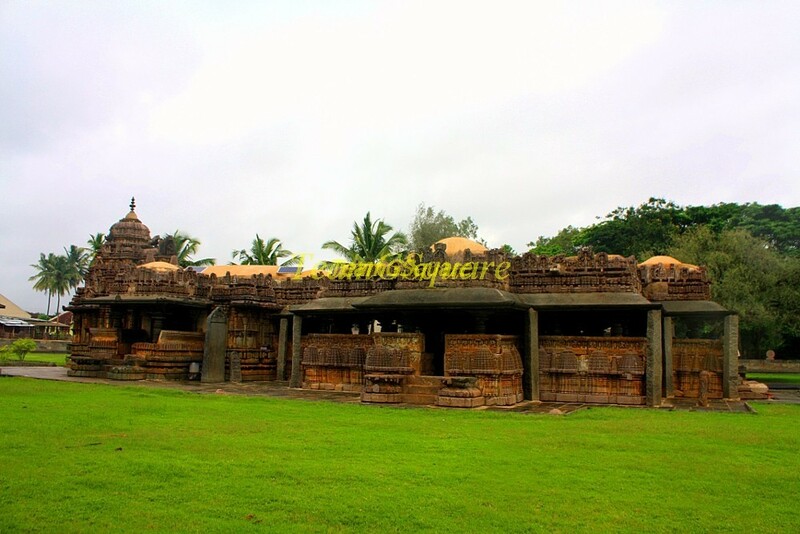 About: Sri Doddabasappa temple is an east facing ekakuta dedicated to Lord Shiva in the form of a linga. 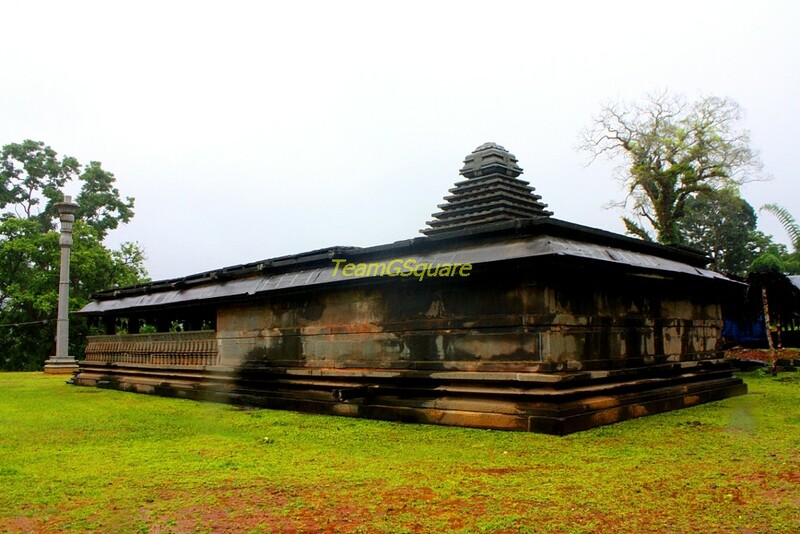 The temple consists of a garbhagriha, an antarala, a navaranga with mukhamandapa and a Nandi mandapa in the front. About: Sri Kaleshwara temple now in ruins, is a west facing trikuta housing Lord Shiva in the form of a linga in two of its garbhagrihas and Lord Surya in the other. 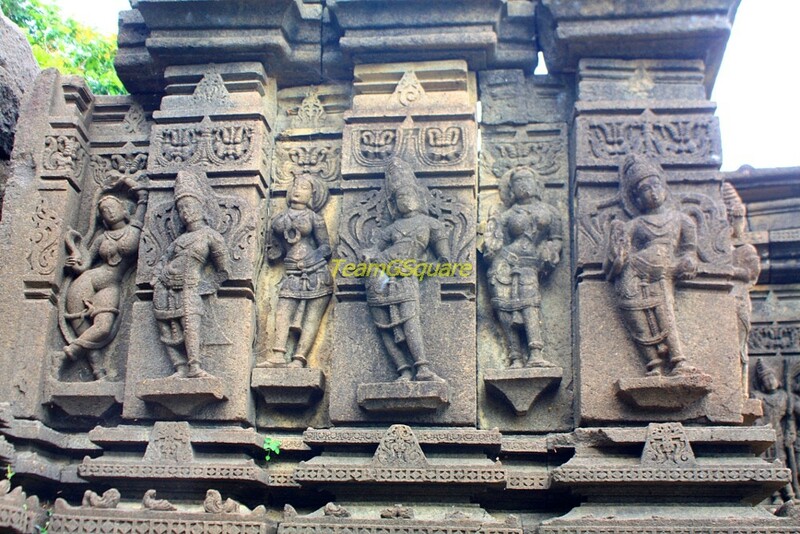 The temple consists of 3 garbhagrihas with antaralas, and a navaranga with mukhamandapa. Read more. About: Sri Chennakeshava temple is an east facing ekakuta dedicated to lord Chennakeshava. The temple consist of a garbhagriha, an antarala, a navaranga attached to front porch. Read more. About:Sri Betteshwara/Kesaveswara temple is an east facing dwikuta houses lord Shiva in the form of linga in main garbhagriha and Lord Keshava in the other garbhagriha. 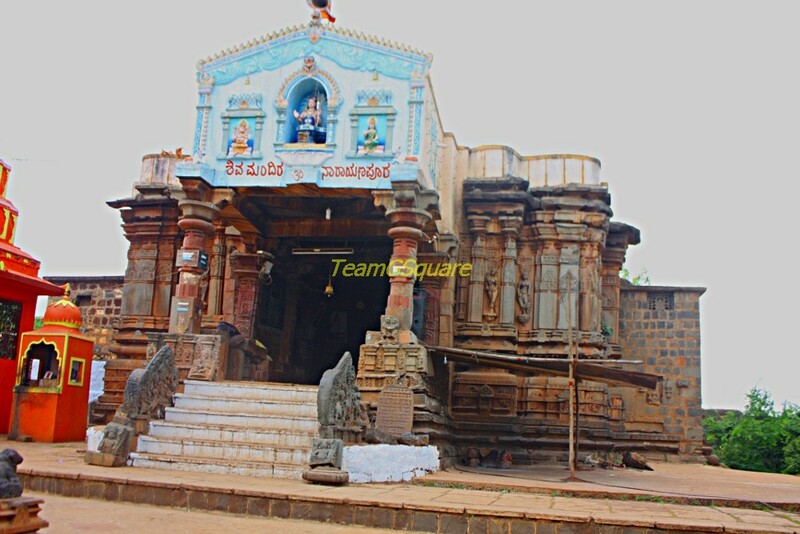 This temple consist of 2 garbhagrihas with only one antarala to the main garbhagriha, navaranga with 2 mukhamandapas and another open navaranga with a mukhamandapa. About: Sri Yoganarasimha temple is a west facing ekakuta dedicated to Lord Yoganarasimha. This temple consists of a garbhagriha with an antarala and navaranga with a pillared front porch. 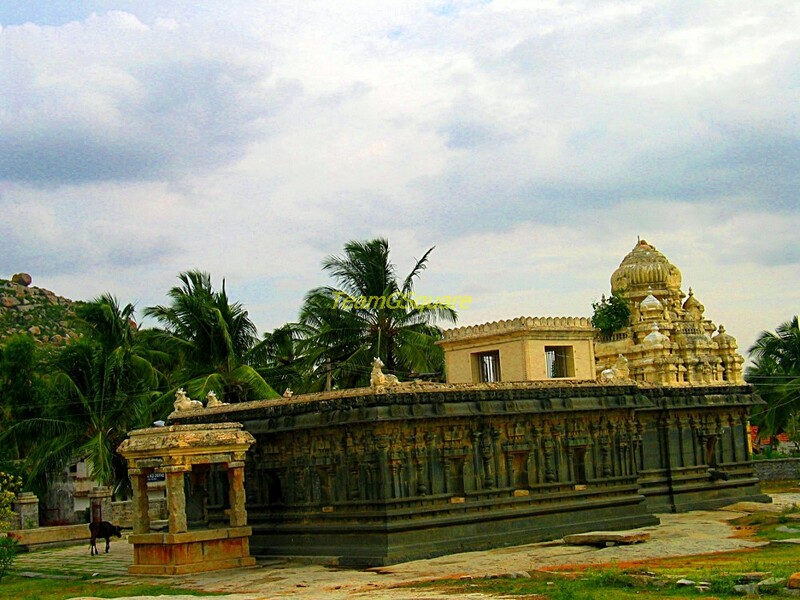 About: Sri Hunieshwara temple is a west facing ekakuta dedicated to Lord Shiva in the form of a linga. The temple consists of a garbhagriha, an antarala, and a navaranga with pillared front porch with two entrances. Read more. About: The twin temples here are dedicated to Lords Nagareshwara (Shiva) and Chennakeshava and are built on the same platform. 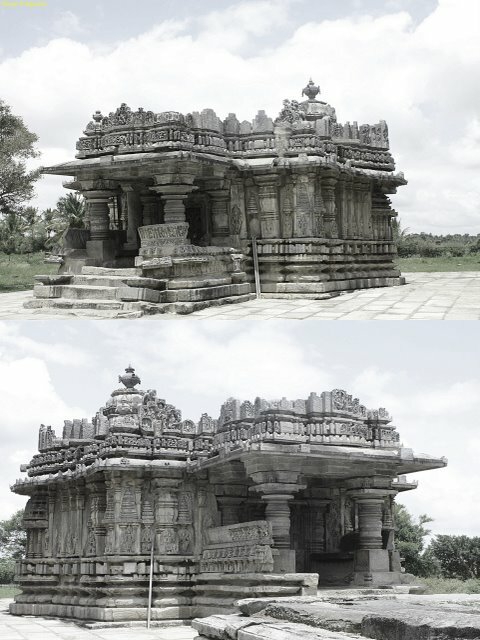 These ekakuta temples are built on the similar architecture. Read more. About: Sri Bucheshwara temple is an east facing dwikuta dedicated to Lord Shiva in the form of a linga in the main garbhagriha and Lord Surya in the other garbhagriha. The temple consists of 2 garbhagrihas with 2 antaralas, and a navaranga with 2 mukhamandapas. Read more. About: Sri Someshwara temple is an east facing trikuta dedicated to Lord Shiva in the form of a linga in all the three garbhagrihas. 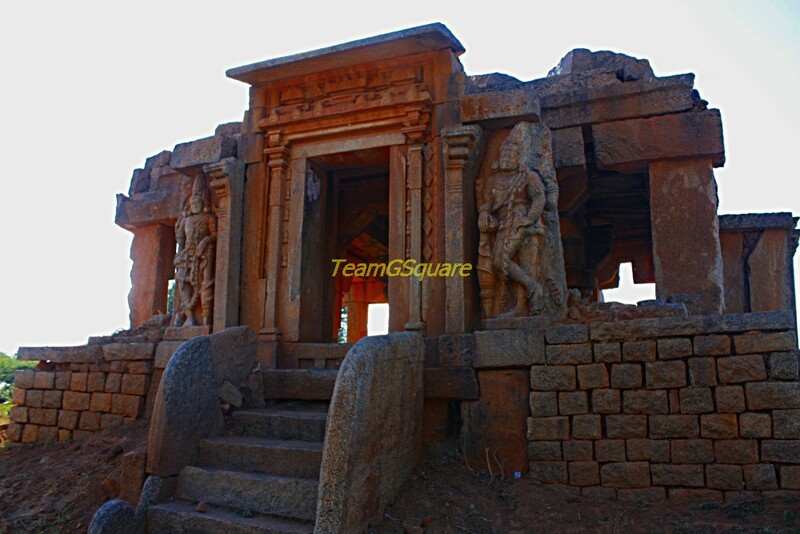 The temple consists of 3 garbhagrihas with antaralas, and an open pillared navaranga with 2 mukhamandapas. 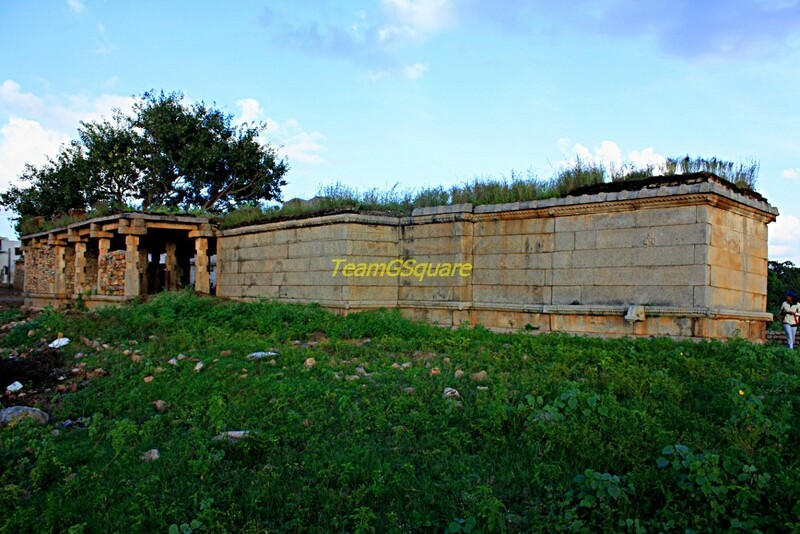 About: Sri Ramalingeshwara temple, now in ruins is an east facing trikuta dedicated to Lord Shiva in the form of a linga in all the three garbhagrihas. The temple consists of 3 garbhagrihas (of which one is completely ruined) with 3 antaralas and a navaranga with a mukhamandapa. 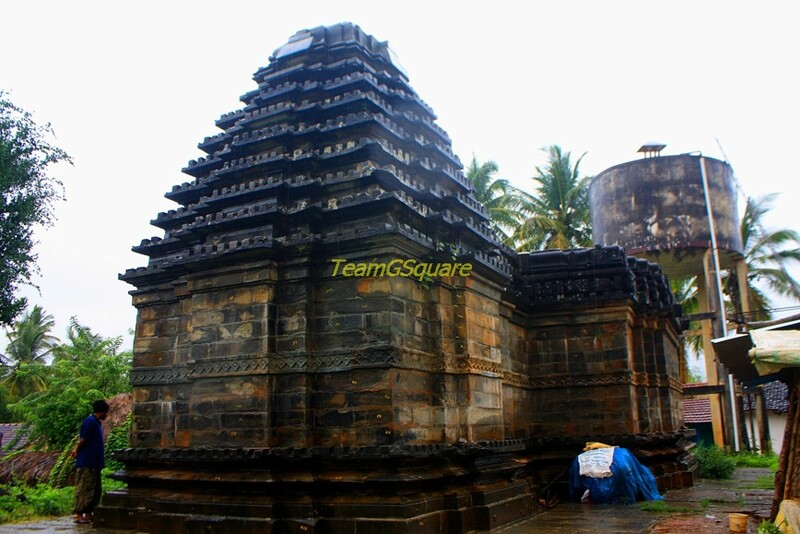 About: Sri Pura Siddeshwara temple is an east facing ekakuta dedicated to Lord Shiva in the form of a linga. The temple consists of a garbhagriha with antarala, and an open pillar navaranga with 3 mukhamandapas. About: Sri Santheshwara temple is an east facing ekakuta dedicated to Lord Shiva in the form of a linga. The temple consists of a garbhagriha with an antarala, and an open pillared sabhamandapa with 3 mukhamandapas. Read more. About: Sri Someshwara temple is an east facing ekakuta dedicated to Lord Shiva in the form of a linga. The temple consists of a garbhagriha with an antarala, and a sabhamandapa with mukhamandapa. About: Sri Gangadhareshwara temple is an east facing Dravidian styled temple dedicated to Lord Shiva in the form of a linga. The temple consists of a garbhagriha with an antarala and a navaranga with mukhamandapa. About: Sri Mahadeva temple, also known as "Devalaya Chakravarthi" or "Emperor among Temples" is an east facing ekakuta temple dedicated to Lord Shiva in the form of a linga. Read more. About: Sri Eshwara temple is an east facing ekakuta dedicated to Lord Shiva in the form of a linga. The temple consists of a garbhagriha with an antarala, and a sabhamandapa with mukhamandapa. Read more. About: Sri Mahalingeshwara temple is an east facing ekakuta dedicated to Lord Shiva in the form of a linga. This temple consists of a garbhagriha with an antarala, and a navaranga with mukhamandapa. Read more. About: Sri Malleshwara temple is an east facing ekakuta dedicated to Lord Shiva in the form of a linga. This temple consists of a garbhagriha with an antarala, and a navaranga with mukhamandapa. Read more. 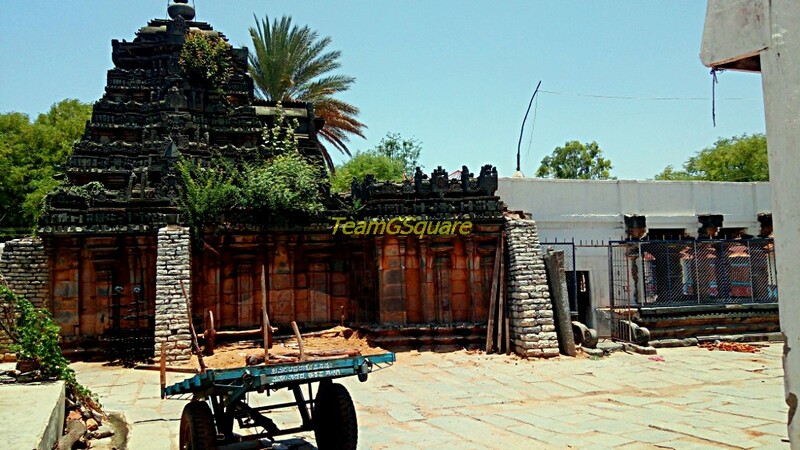 About: Sri Lakshminarasimha temple is an east facing ekakuta dedicated to Lord Lakshminarasimha. The temple consists of a garbhagriha with an antarala, and a navaranga with mukhamandapa. About: Sri Chennakeshava temple is an east facing ekakuta dedicated to Lord Chennakeshava. The temple consists of a garbhagriha, an antarala, a navaranga and a mukhamandapa. 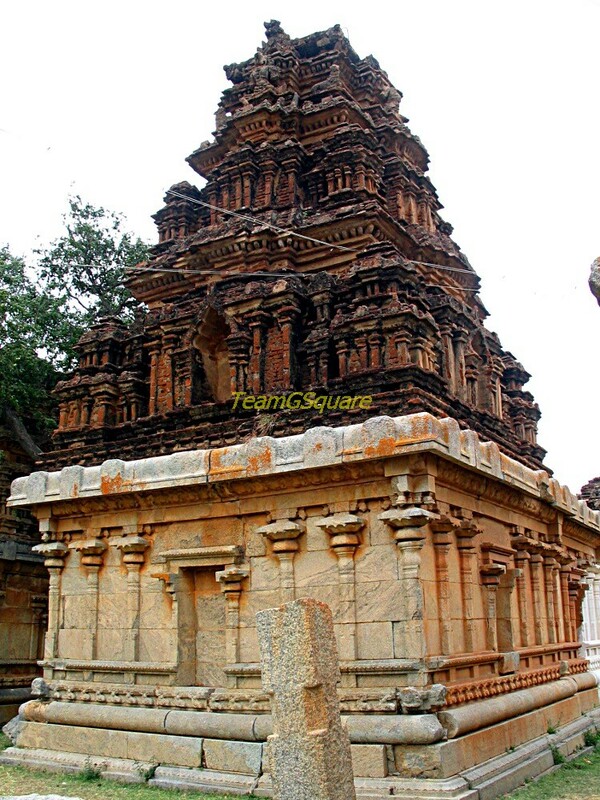 About: Sri Sidlu Mallikarjuna temple is a big Dravidian style temple built atop the Sirigiri hill and is dedicated to Lord Shiva in the form of a linga. About: Sri Kashi Vishwanatha temple is an east facing ekakuta dedicated to Lord Shiva in the form of a linga. The temple consists of a garbhagriha with an antarala, and a navaranga with mukhamandapa. There are two pillars in the front of this temple that are quite unique. Read more. About: Sri Lakshminarasimha temple is an east facing trikuta housing Lords Lakshminarasimha, Purushottama and Venugopala in the garbhagrihas. The temple consists of 3 garbhagrihas with 3 antaralas, a sabhamandapa and a mahamandapa with 3 mukhamandapas. About: Shanthinatha Basadi, now converted into Basavanna temple is an east facing ekakuta housing Lord Shiva in the form of a linga. The temple consists of a garbhagriha with an antarala, and a navaranga with mukhamandapa. About: Sri Uma Maheshwara temple is an east facing ekakuta dedicated to Lord Shiva in the form of a linga. The temple consists of a garbhagriha with an antarala and pradakshina patha, and a big open pillared navaranga with mukhamandapa. About: Sri Moole Shankara temple is an east facing ekakuta temple dedicated to Lord Shiva in the form of a linga. The temple consists of a garbhagriha with an antarala, a sabhamandapa and mukhamandapa. 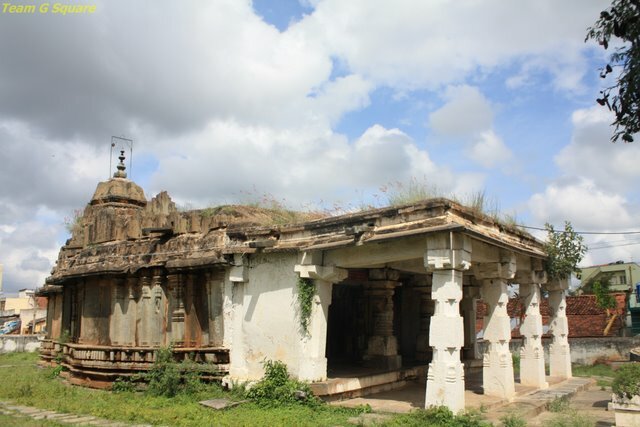 About: Sri Sambhulingeshwara temple, now in a ruined state is an east facing trikuta dedicated to Lord Shiva in the form of a linga, Lord Keshava and Lord Surya. The temple consist of 3 garbhagrihas with antaralas, and a navaranga with pillared front porch. Read more. Dynasty: Kadambas in 4th century, Chalukyas in 11th century and Sonda kings 16th century. About: Sri Madhukeshwara temple is an east facing ekakuta dedicated to Lord Shiva in the form of a linga. The temple consists of a garbhagriha with an antarala and pradakshina patha, a sabhamandapa and an open pillared navaranga with 3 mukhamandapas. There are many other lesser known beautiful temples in Karnataka which we have visited and will be compiled in the next series. The list will be updated accordingly as and when we visit other lesser known places. With this post, we have completed our 300th post! You have made an exhaustive list. Glad to know about many of the lesser known temples. Loved the post. Very useful infos. Awesome pics. Awesome post, so many unknown places are there, bookmarked this post. Very impressive list. I am going to use this for my future travels. 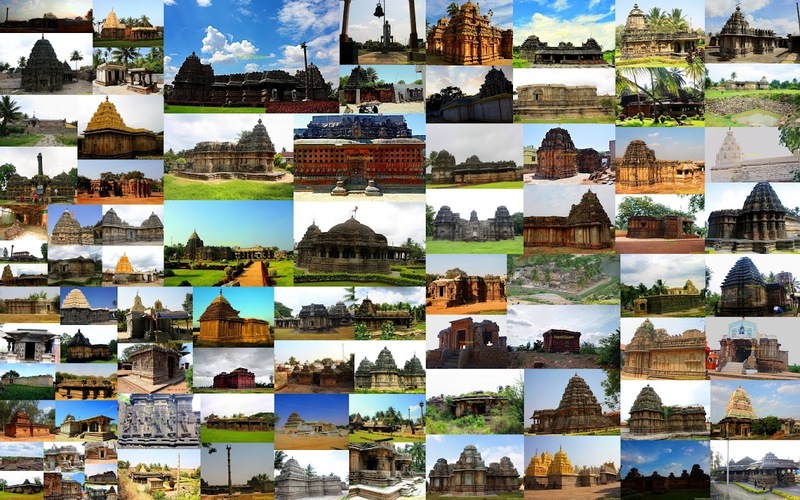 Great collection of temples.. Images are very beautiful . Thanks for sharing list of temples. Dear Team G square, I am a big fan you. Let these articles be localized in Kannada too. I am ready to help you. English version will serve the global audience and Kannada version will help the local audience. Dear Ganesh, Thank you for your appreciation and encouragement. This is what keeps us going. Sure..will definitely contact you when needed. Thanks again!